Web scraping has never been easier. Watch one of the training videos below to learn how to extract data from the web with Content Grabber. If you have any questions Call 1-866-594-6019 (Toll Free in USA/Canada) or email info@contentgrabber.com. Important: These videos demonstrates how to use Content Grabber version 1. Similar techniques can be used in Content Grabber version 2, but some screens might be slightly different. Updated videos will be made available in coming days. This video is an introduction to Content Grabber and shows how our customers are using the Content Grabber software. 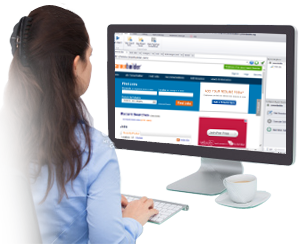 We also demonstrate some of the most important features of Content Grabber. This video shows how easy and quick it is to develop a web scraping agent in Content Grabber. Here we extract movie details from the www.imdb.com website for the top 10 movies of 2014. This video shows how to extract job data from Career Builder. You will learn basic tasks, such as extracting data from lists, following paginations, how to navigate the agent to different page urls, as well as how to debug and run a web scraping agent. This video shows how to extract job data from Craig's List. You will learn basic Content Grabber tasks such as extracting data from lists, use of anchor points, following paginations, short-cut keys, as well as debugging and running an agent. This video shows how to extract business data from the Australian Yellow Pages website. You will learn basic Content Grabber tasks, such as extracting data from lists, following paginations, and downloading images. This video shows how to extract business data from the US Yellow Pages website. You will also learn how to use the Tree View browser to fine-tune selections, and how to use the debugger to find problems in an agent. This video shows how to extract pricing data from past auctions on Ebay. You will also learn how to use debugging and logging to find and correct issues in an agent. This video demonstrates how to automatically send messages to people in Facebook. You will learn how to login to Facebook, load a list of profile URLs and then send a message to each profile. This video shows how to extract data from the Luxury Real Estate website. You will learn tasks like following paginations, transformations, use of RegEx scripts, as well as debugging and running an agent. This video shows how to extract data from Amazon. Amazon is a very difficult website because it uses many different display layouts for the same products. This video assumes the viewer has basic XPath skills.